It’s a busy Saturday in the Nations League with nine matches taking place live on Sky Sports between 2.00pm and 9.30pm. The Star of the show lines up at 7.45pm as two superpowers of world football battle at the Amsterdam Arena in Group A1. France lead the way with four points after two games played but Germany can draw level with the right result here and that’s exactly what bookmakers expect the visitors to do, pricing the away day as hot favourite. Holland and Germany have met 25 times before in competitive action and the head-to-head stats are as evenly balanced as you would expect, standing at 8-7 in Oranje’s favour with 10 draws. Another tight match is expected, but will either side have the quality needed to nick the points? Ronald Koeman’s side were beaten 2-1 at the Stade de France on their last outing in this competition, a Ryan Babel goal not enough to match France, who continued their winning form thanks to strikes from Kylian Mbappe and Olivier Giroud, the latter getting his first international goal in 10 matches. It was another disappointing outing for Holland who are desperately seeking a long overdue return to a major international competition. That defeat means they have managed just two wins in their last six – 3-0 Portugal and 2-1 Peru – but there’s two defeats and a couple of draws in the same period, losing to England back in March as well as France. 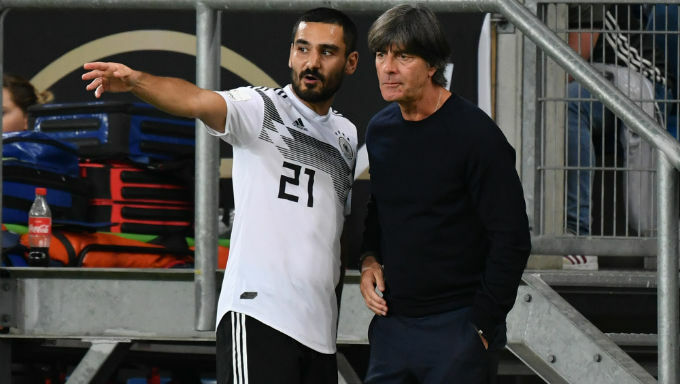 Germany’s form could also be described as sketchy, with their last half-dozen showing three wins, two defeats and a draw. They were beaten by Mexico and Korea in what turned out to be a woeful World Cup campaign, sent home at the earliest opportunity despite jetting to Russia as betting favourites in the outright market. DFB Eleven took the first strides with a confidence boosting goalless draw against France in the Nations League at Allianz Arena in September and built on that with a 2-1 win over Peru on their most recent outing. Advincula broke the deadlock that evening, hushing the bulk of a 25,000 strong attendance at the WIRSOL Rhein-Neckar-Arena but Peruvian celebrations were cut short when Brandt hit back less than three minutes later. Schulz won the match with a goal on 85 minutes. The trading team at Coral have an away win marked as 21/20 favourite and that appears to be the general feeling in the match winner market. If you prefer home comforts and fancy a punt on Holland doing the business, Bet365 is the place to bet as they serve up 11/4 which is market best price. The draw goes 5/2 (Ladbrokes). Holland have found wins thin on the ground of late, but they’ve grabbed their fair share of goals in recent starts, scoring eight in their last five. The last team they were unable to find the net against was England in that narrow 1-0 defeat, Lingard making the difference in London that night. That’s made all the more interesting by the fact Germany have conceded at least once in five of their last half-dozen. Both teams to score makes plenty of appeal at the 8/13 you’ll find at Bet365 and that’ll do for your accumulators too. Those hoping for a bit more can try their luck on a scoring draw. These sides have finished level in three of their last five meetings, Germany winning 2-1 in one of the spares. A share of luck is needed, but 7/2 (Bet365) makes it easy to trust.